VS Gaming will be hosting its CS:GO Masters at this year’s rAge Expo in Johannesburg from 6 to 8 October. This year’s tournament will see a host of talent taking part as well as the finest CS:GO teams in South Africa. Spectators will have a lot to look forward to when the matches are played live on stage at the rAge Expo. There will be additional entertainment with Kamohelo Mbatha as the on-stage MC and the panel hosted by Devin “Hellbird” Rigotti, Gregory “Fingers” Robinson and Ryan “Parker” MacQuet. The shoutcasters will be Kyle “CongoKyle”Wolmarans, Ashton “Golz” Miller, Thulani “toolz” Sishi and Etienne “Recoil” Vorster. 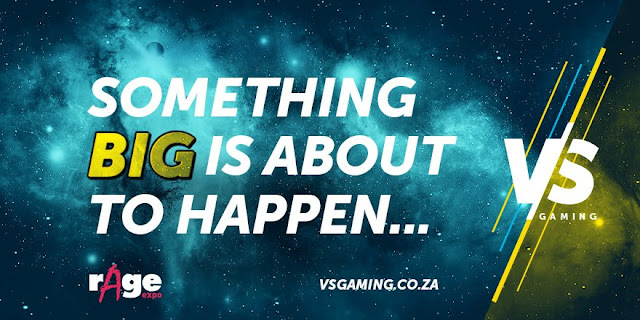 The VS Gaming Championship will also be taking place at the rAge Expo and this year will see teams take part in tournaments such as DOTA2, CS:GO, Rocket League, League of Legends, Hearthstone, Overwatch and Battlefield. “The VS Gaming Championships is where the next stars will be found and where the up and comers find their feet in a large-scale tournament. This will be an exciting event and now as the headline sponsors, we are excited to be such a large part of it,” concludes Mokanyane.